This year I haven't seemed to read as many books as usual. 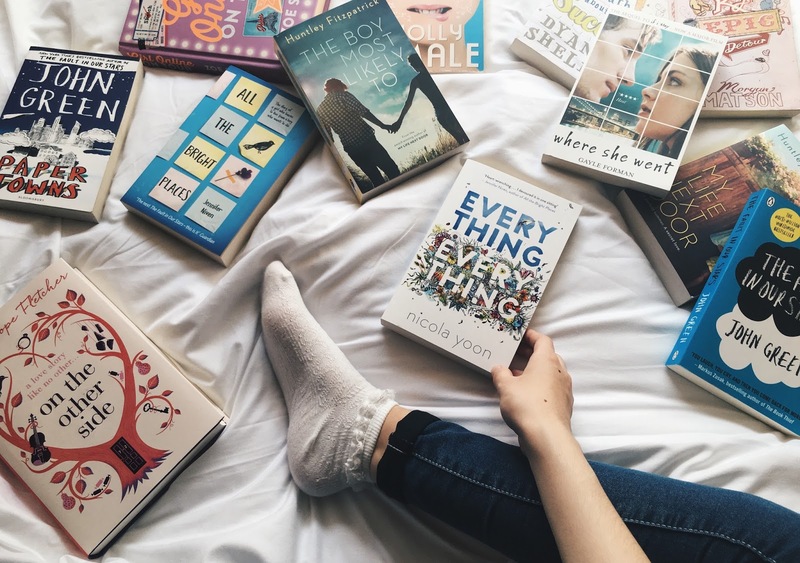 I'm not sure whether I got too busy, or I just didn't find any novels that took my fancy until the summer when I read four books I want to share my thoughts on with you. I'll try and leave my mini reviews spoiler free, wish me luck on that! Everything Everything was a lovely read. I seemed to get through the book quite fast, but nethertheless I really enjoyed it. 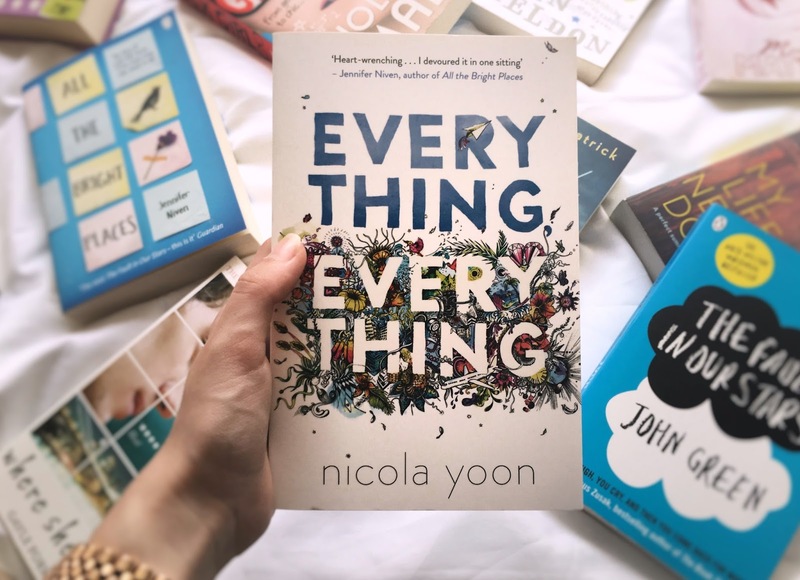 Madeline, a girl who suffered with an illness meaning she couldn't leave the house falls in love with her next door neighbour Olly, and in doing so longs to venture into the outside world, something she hadn't done in seventeen years. Madeline's character was really unique and likeable and I was always rooting for her throughout the book. The twist is incredible and shocking, and I love how Nicola Yoon ended the book. Please do not automatically think this book is very similar to The Fault In Our Stars because they both revolve around a sick girl, they are two very different stories and I think I actually enjoyed this one more. 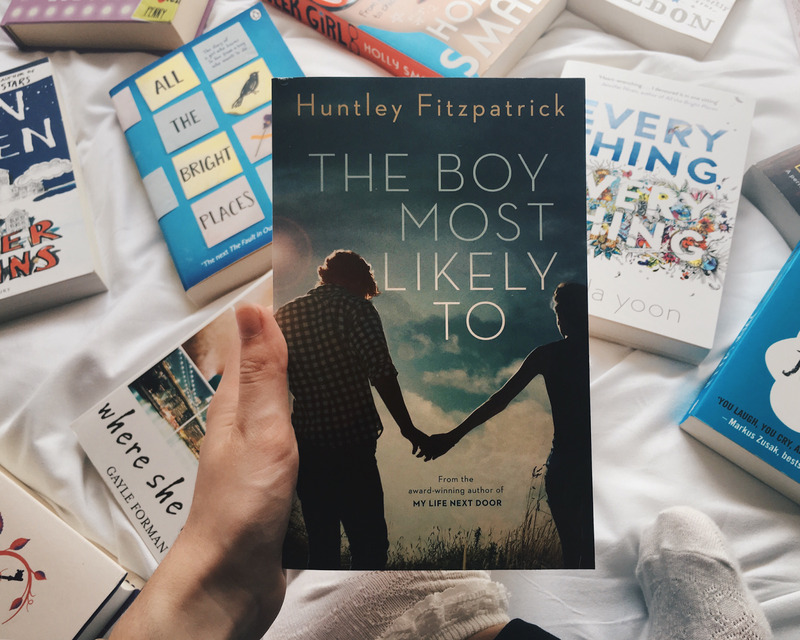 I featured Huntley Fitzpatrick's first novel, My Life Next Door, in a favourites a few months back, so I was excited to read her next one, The Boy Most Likely To. We met the characters of Tim and Alice in the first book, because although The Boy Most Likely To is a follow up of My Life Next Door, it is from the perspective of two different characters. I'm not sure why but I didn't connect with these characters as much as Samantha and Jase (Alice's brother) in the first book. I even found myself thinking "urghh, I'm only half way through?!" which isn't a good sign! I did start to like the book and the characters more as the story developed, however the book was so long I'm not surprised I got a little bored! It was also a little confusing because it switches between the two characters (Tim and Alice) narrating the book and sometimes I was unsure who's perspective I was reading. It wasn't a bad book, I just didn't enjoy it as much as others I have read lately. This one is my favourite of the four books I read over the summer and it is certainly has to be one of my favourite books of all time. Interestingly, I cried more at this book than any other book I have read before - it's not even a really upsetting book or anything! I think I just felt sad because I wanted Evie to be able to live the life of her dreams with no obstacles, such as her mother who grew to be my least favourite character. Evie, the main character, was of course my favourite and I really rooted for her throughout the book. When I found out there would be a little magic involved in the story, I was a little put off - however it really worked and added to the unique brilliance of the story. Carrie did a fantastic job with her first novel and I strongly recommend giving it a read! 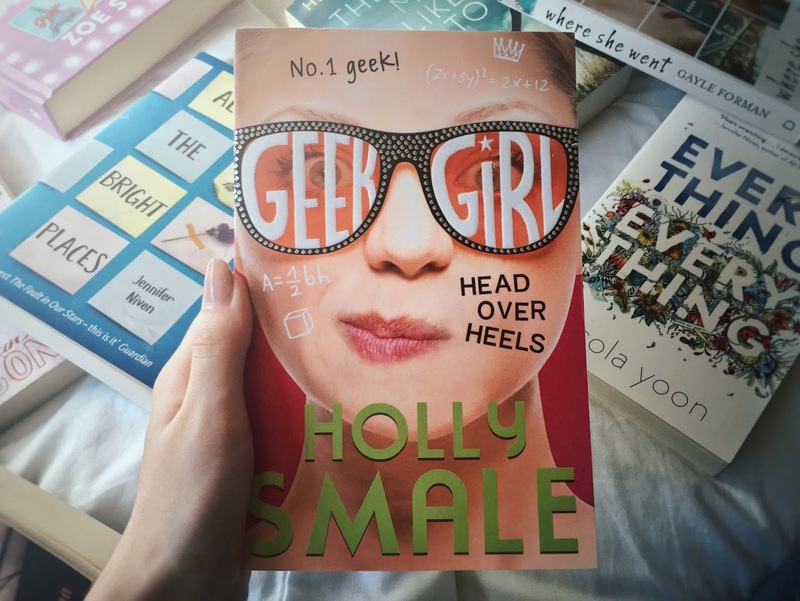 I have loved all the Geek Girl books by Holly Smale, and the fifth one in the series - Head Over Heels, failed to dissapoint. Harriet tries to do what she thinks is best for everyone - her friends and her modelling agent Wilbur, and I think Head Over Heels made me like Harriet's wonderful character even more. It was lovely to see her grow up a bit in this book. Just like the fourth book I reviewed last year, I still missed Nick, but I enjoyed the addition of Jasper to Harriet's friendship group in Head Over Heels. I'm sad that the next Geek Girl will be the last of the series, but the ending of this one gave a little hint to where that one will be going - I'm excited! Great selection! Right now I am reading Legend By Marie Lu. Have you read it? I'm a huge bookworm so I was very excited to read this! And I love the photo btw! I want to read Everything Everything so so bad, I've heard a lot of good reviews about it and the story line sounds incredible! 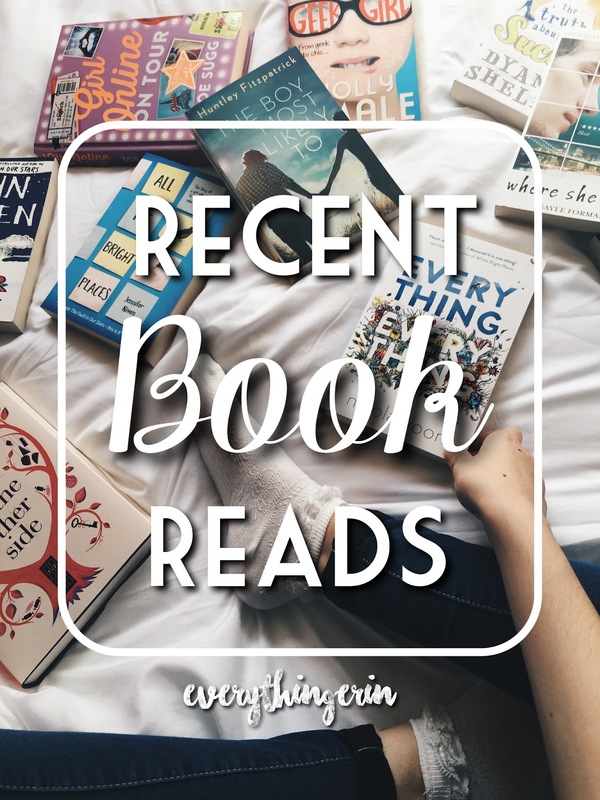 I love seeing posts like this and my reading list always grows after! 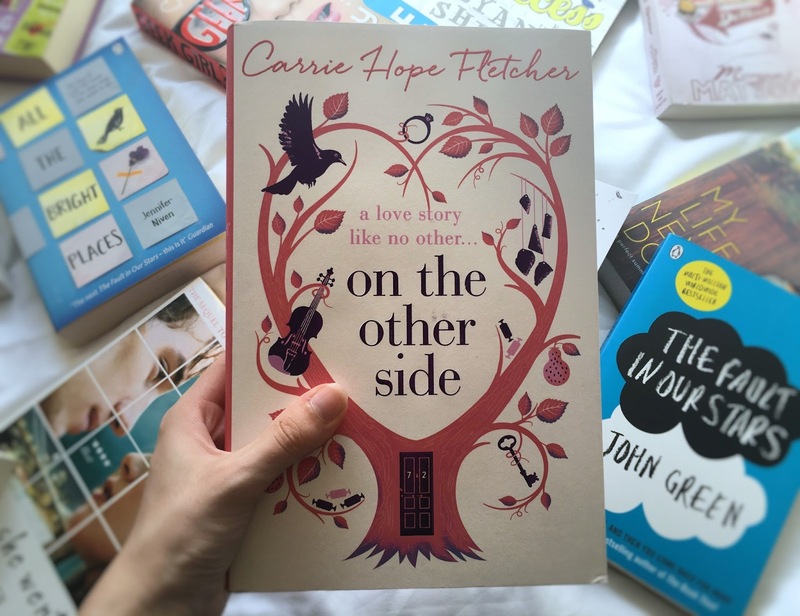 I really want to read My Life Next Door and On The Other Side now! 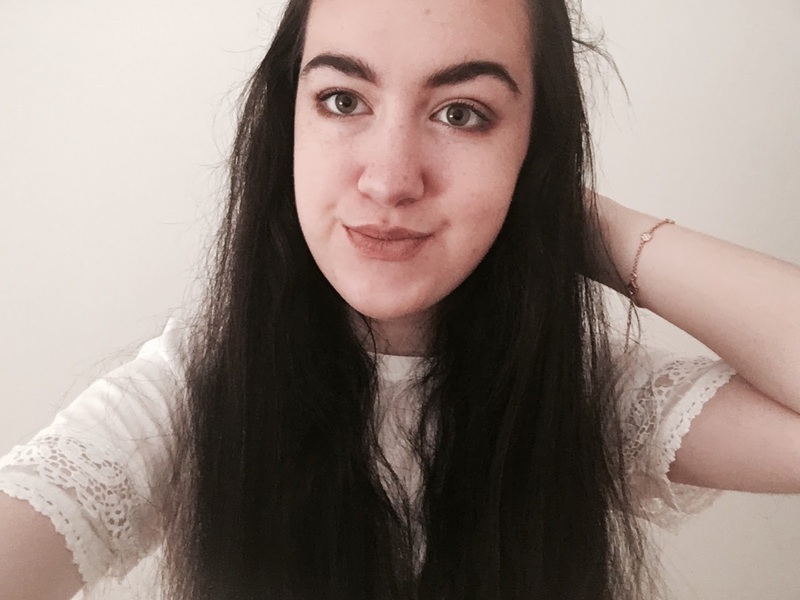 This was such a lovely post to read, Erin! I'm a massive bookworm myself, and always have been, but like you, I just haven't been reading as much as I'd like to lately. Thank you for giving me some recommendations!